Canoma was released in 1999 and had the classic, but sadly long gone Metacreations interface, the work flow was painfully simple and a 3D model could be built and textured mapped in under an hour. Quite simply Canoma changed the way we modelled the environment and introduced photorealisic 3D models to the web for the first time. 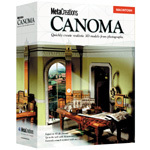 The difference in Canoma, compared to other photomodelling packages available at the time, was the ability to model directly over the photograph without the need to add in tedious camera reference points or lens parameters. Canoma allowed the user to simply load in one or more photographs and start adding primitives directly over the image. Using the options to align and stack objects it was possible to create a texture mapped 3D model from a single photograph, something that just isn’t available today in comparable quality. The ability to model from single photograph and a complete lack of research funding at the time led to us develop models direct from postcards. Postcards make good candidates for 3D modelling as they are often taken from an oblique angle. Canoma thrived on oblique photography and thus we would often be found around the tourist spots of London buying up the best imagery. 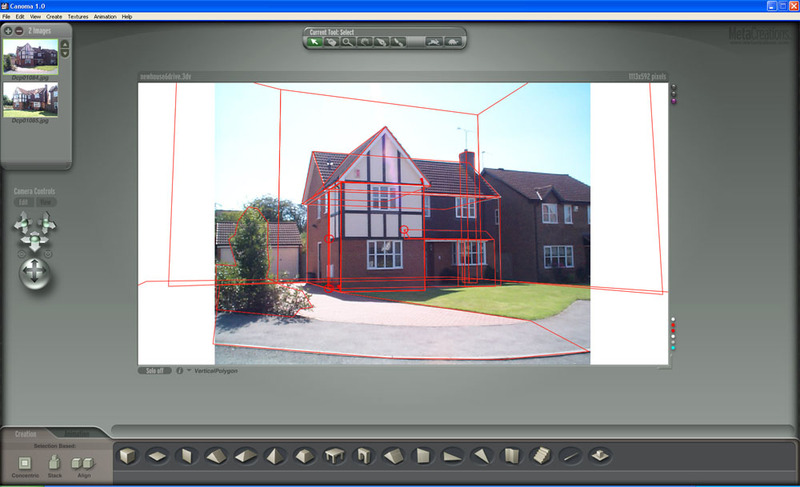 In addition to the simple modelling tools of Canoma it had enough export options to move your model into high-end software such a 3DMax or publish direct to the web in the then emerging 3D viewer standard of MetaStream (now known as Viewpoint). Viewpoint is sadly as shell of its former self, it went from one of the leading lights in 3D model distribution on the web with a large user base of developers to a company accused of distributing Spyware and charging high fees for licensing. As such Viewpoint is sadly filed in the folder of ‘could of been’ in the fight for dominance in the 3D visualisation market. Along side the standard exports was a special edition of Canoma, kindly coded by Robert Seldi, Canomas Product Manager. Robert sent us a patch for Canoma to export to the Renderware (.rwx) format, this opened up the possibility of importing the models direct to ActiveWorlds. 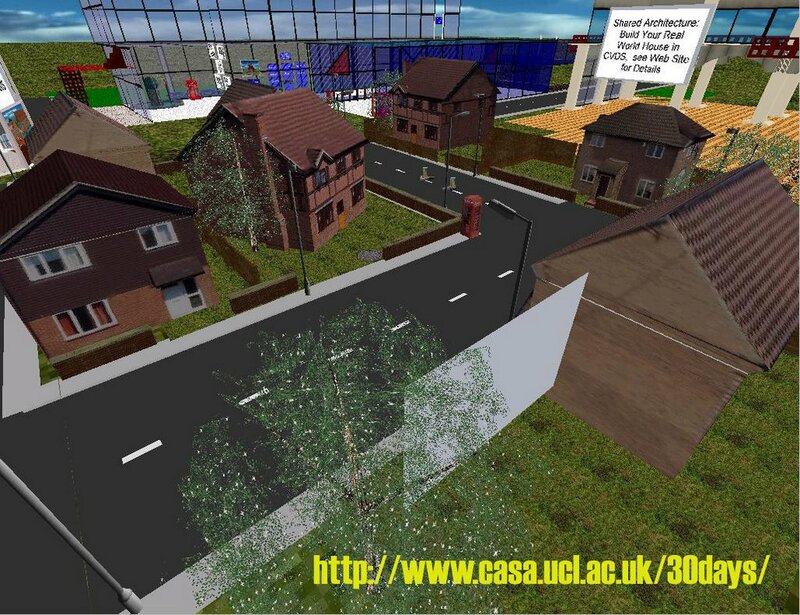 30 Days in ActiveWorlds back in 1999 featured photorealistic streets in a multi-user collaborative environment. With no laws or building rules it was an experiment in collaborative architecture with over 80,000 objects being placed in a world the size of Soho in London over a period of 12 months. You can read more about 30 Days in ActiveWorlds in our paper. ‘To help creative professionals move into the world of 3D, Adobe acquired MetaCreations’ Canoma‘ product, which creates 3D models from images created in Adobe’ Photoshop“ and outputs finished files to the Web. Adobe will announce its future plans for this product line at a later date’. The press release was the last that was ever heard of Canoma, despite version 2.0 being almost complete when the product was acquired by Adobe, future plans were never announced. Shortly afterwards Adobe moved into the 3D world with their Adobe Atmosphere product. Atmosphere lasted a year before being cancelled and is the subject of forthcoming post in this series – what it is with Adobe (?). 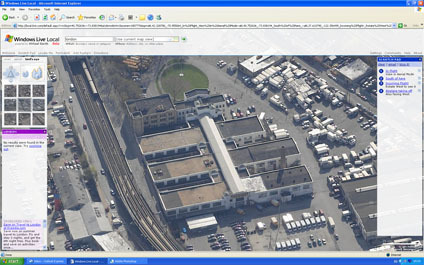 You could of course then port the model across to Google Earth in a slightly ironic way to create models for the 3D warehouse..
Eleven years on and their is still no software to match Canoma’s ease of use for 3D modelling, not even the beloved SketchUp – we miss it and if you can get hold of a copy on ebay we encourage you to. The output is not going to live up to the latest technology but for a few hours its worth going back to 1999 and realising just how good it was. For more info take a look at Canoma.com – just try not to get upset at the details of Canoma 2.0 which was about to be released before the buyout to Adobe and they simply failed to do anything with it. The one thing I used to get frustrated with Canoma was that even when you ‘glue’ points together, they never truly line up having imported the model into another application. Lots of follow on work is needed to make coplanar surfaces line up. I miss Canoma too, it is a real shame it was abandoned. For somebody with good 3D CAD skills it is very accurate and fast, still it’s no use if you want a texture-mapped model. Holy crap!! I was just telling a co-worker just how ahead-of-the-game Canoma was and that I needed to find my copy of it on CD buried in my house somewhere… Awesome stuff. MetaCreation was where it was at! !